In the crowded world of smart home assistants, Amazon’s Alexa and Google Assistant are dominating the market and leading the pack when it comes to skills and popularity. 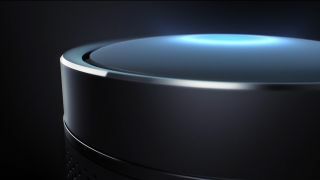 Despite the uphill climb it faces, though, Microsoft is slowly but steadily improving the capabilities of Cortana to stop the assistant falling off the radar. Most recently, Microsoft has announced that Cortana is now compatible with a handful of new smart home devices as well as IFTTT. Though adding new devices such as Ecobee, Honeywell Lyric, LIFX, and Geeni to Cortana’s roster is a positive step, it’s IFTTT integration that will really give the assistant a boost. It opens Cortana up to accessing more than 600 additional third-party services and gives users the ability to create a more personal and effective smart assistant. According to the Cortana team, by “using IFTTT, you will be able to customize your experience by creating your own phrases to use with services on IFTTT.” And the added support of Applets means that it’ll be possible to create a single command that starts a chain of multiple actions. It’s possible to control all of these smart home devices using Cortana on Windows 10, through the iOS and Android mobile apps or through its dedicated Harman Kardon Invoke speaker. Setting them up is as simple as opening the Cortana app and adding them to the Connected Home section. While IFTTT is a boon for Cortana, however, it’s something that Google Assistant and Alexa have supported since 2016 and 2015 respectively. Whether catching up this late in the game will be enough for Cortana to retain, or even grow, its share of the market remains to be seen.